One such area that may need a certain amount of rethinking and redesigning is marketing. Keeping in mind the general public interest as well as exponentially rising market competitions, it may not be farfetched to consider automating the marketing process and other such processes of an organization. Consider a steadily developing organization with a reasonable number of clients which keeps increasing. With a substantial amount of man-power and resources, the situation can be efficiently handled. However, as the number of interested clients keeps rising, it may become difficult to keep track of all of them after a while, let alone entertain their needs. One may think about hiring more man-power, but this would only lead to further depletion of resources and finances. Under such circumstances, some companies prefer to be able to transfer the tasks based on individual areas of the business to a technology-based automated system, also known simply as automation software. In terms of marketing, automation software can help in increasing the efficiency of the process along with enhancing flexibility and power, as well as removal of human-based redundancies. This allows the members of the organization to entrust the marketing responsibilities to the system itself while indulging in other important activities. Almost all of the modern day companies implementing Marketing Automation systems facilitate a common feature called e-mail marketing. E-mail marketing refers to the sending of e-mails to potential customers containing offers and details about the company which may benefit the requirements of the customers. Sometimes the e-mails may focus on certain lucrative schemes and promotional offers that may invite the viewer to the respective company page. This is also made easy by posting a link in the mail content that allows the customer to visit the company's webpage. It must be kept in mind that all of these activities, including the selection of potential customers, the sending of e-mails and ascertaining customer needs, are all done without human assistance in an automated marketing environment. Another common approach is to create public surveys or interactive customer-based campaigns. The company may implement them on a large scale using the help of social networks or other frequently visited domains. Interested customers may simply click on the advertisements, taking them to a respective landing page of the company. The trick is to make the campaigns as appealing as possible to the general public. Some companies may also offer a trial, demonstrative version or demo version, which is basically a temporary contract between a willing customer and the company in terms of product or services. Needless to say that this contract is valid for a very short time after which the user will have to resort to a more perpetual solution. As previously discussed, the main motive behind the automation of the marketing process is to increase the efficiency and flexibility of the marketing strategies and at the same time, allow the least possible manual effort to be put in. But how does the automated marketing process allow for better promulgation and attract new potential customers? Consider an organization aiming to promote their business to a new set of potential customers. 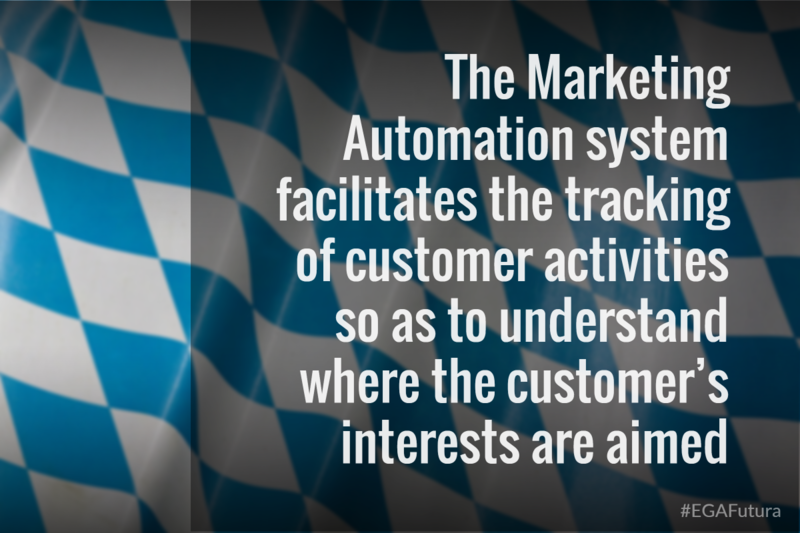 The Marketing Automation system facilitates the tracking of customer activities so as to understand where the customer’s interests are aimed. Once the areas of interests are identified, the Marketing Automation system triggers the respective workflow for each visitor. A series of promotional activities are executed so as to attract the visitors towards the ultimate goal. These activities are called “Leads”. Leads are designed in such a way so as to gradually warm up the visitors. Soon after the potential customer has visited the page, the automation system workflow allows regular interactive sessions or important news reports relating to the customers' noted interests to be sent to them. After a little more time, it intrigues the clients further by sending them objects of attention like fact or trivia questions about their object of interest. By nurturing the interests of the customer, the automation system gradually builds them up to the point where the customer's attention is at its peak. It is at this moment that the system implements its “Key To Conversion” strategy, offering the customer a demonstration or demo version of the service or product that the customer might be interested in. As the customer accepts each lead, the accepted leads are marked as “visited” and are modified with new ones. After having witnessed the demonstrative version of the product or service, the customer is now fed with new and exciting promotional offers such as freebies or discounts on purchase. Considering the customer interest which, at this point in time, is likely to be at the most intense juncture, it is the best time for the system to automatically import them to the company CRM via sales agreements and deal finalization. In this way, with the help of a versatile yet robust and effective workflow of Marketing Automation software, a company manages to attain new customers while exerting minimal effort. Now, it is up to the company whether they are interested in turning their new customer into a repeat customer. This can be done by upselling, cross selling or cycle-based sales. The company can also record customer satisfaction levels by organizing surveys, filtering out any discrepant results and responding to customer complaints and dissatisfactions. 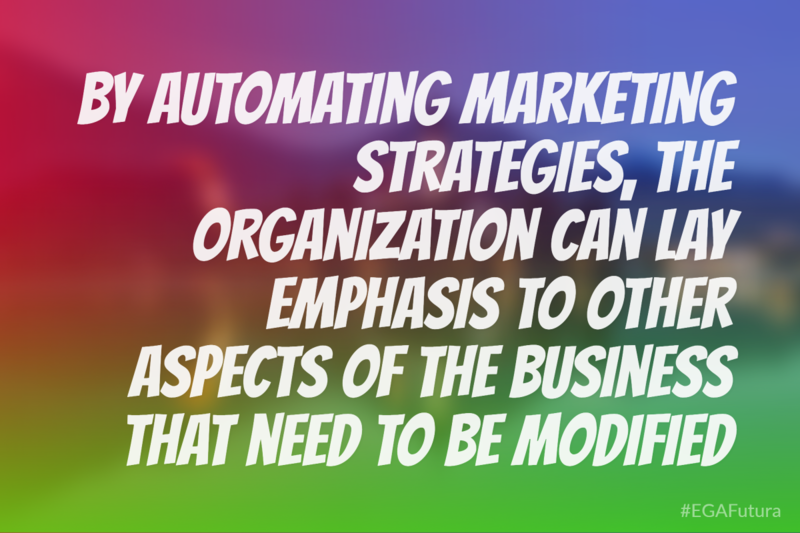 By automating marketing strategies, the organization can lay emphasis to other aspects of the business that need to be modified. 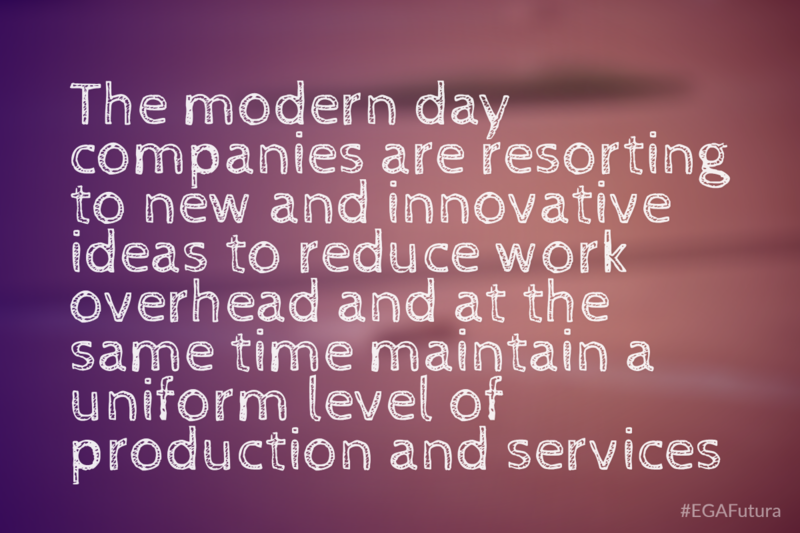 This inspires the members to automate other such aspects of the business process as well. All these factors contribute to increased ROI and revenue. The process also contributes to the deepening of positive customer relationships along with increased marketing, sales productivity and coherence. Customers may also be prioritized according to their needs or their previous relations with the company in terms of product or service sales. Finally, it may be impossible to create an impeccable marketing strategy but with automation, it is possible to identify and tend to probable clients more frequently rather than passing up scoring opportunities. All in all, the prospect of Marketing Automation should not just be prioritized to those companies willing to compete on an international scale, but to any and every company looking to minimize effort input and maximize sales and post-sales profits.